The fourth season of the American television medical drama Grey's Anatomy, commenced airing in the United States on September 27, 2007 and concluded on May 22, 2008. 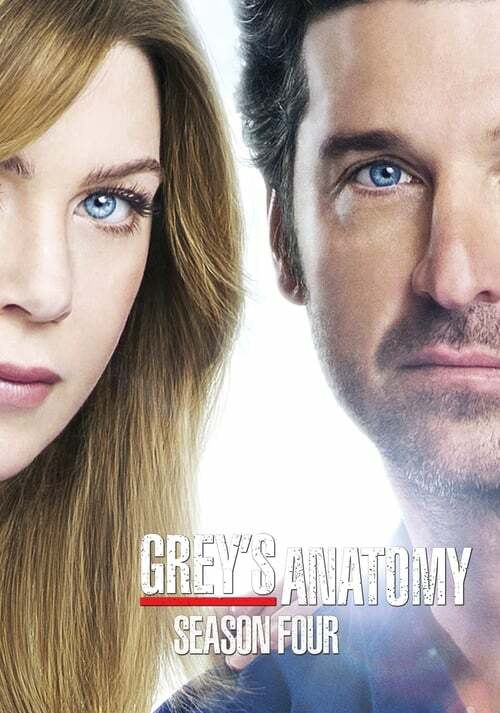 The season continues the story of a group of surgeons and their mentors in the fictional Seattle Grace Hospital, describing their professional lives and the way they affect the personal background of each character. Season four had twelve series regulars with ten of them returning from the previous season, out of which eight are part of the original cast from the first season. The season aired in the Thursday night timeslot at 9:00 EST. In addition to the regular seventeen episodes, a clip-show narrated by the editors of People recapped previous events of the show and made the transition from Grey's Anatomy to Private Practice, a spin-off focusing of Dr. Addison Montgomery and aired on September 19, 2007, before the season premiere. The season was officially released on DVD as a five-disc boxset under the title of Grey's Anatomy: Season Four – Expanded on September 9, 2008 by Buena Vista Home Entertainment. For the first time in the show's history, many cast changes occur, seeing the first departure of two main cast members. The season received mixed response from critics and fans, resulting in several awards and nominations for the cast members and the production team. Show creator Shonda Rhimes heavily contributed to the production of the season, writing five out of the seventeen episodes. The highest-rated episode was the season premiere, which was watched by 20.93 million viewers. The season was interrupted by the 2007–2008 Writers Guild of America strike, which resulted in the production of only seventeen episodes, instead of twenty-three originally planned.